SEO Vs PPC: Who Wins? If you want to know the difference between SEO and PPC then you certainly have a lot to think about. The first thing that you need to think about is whether or not you plan on selling a product, and what your company goals are. For example, if you know that you plan on selling a product or even a service then there is a huge difference between the two. 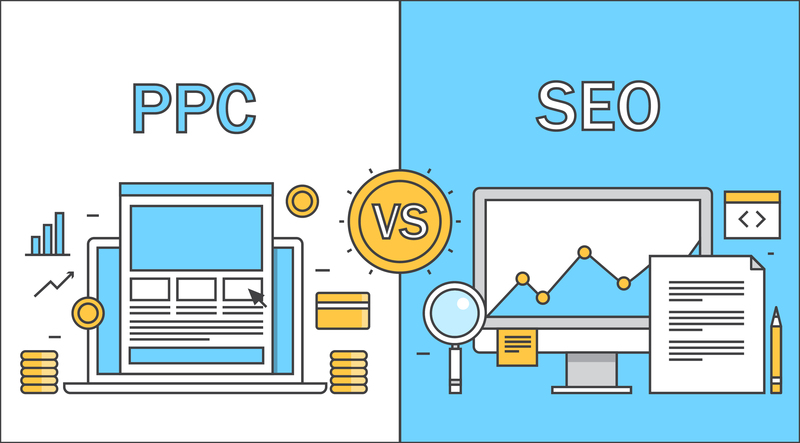 If you want to find out more, then take a look at the difference between PPC and SEO. SEO isn’t just about optimizing your site and it isn’t just about ranking highly on Google either. It’s all about being an authority and you also need to make sure that you are continually being the best on the search engine as well. With major search engines such as Yahoo, Google and even Bing, they look at how people react when they come to your site and if they come back. They also look at the sites that are linking to you. When you take a look at PPC, it’s all about paying for the advertisement space that you want for your targeted keywords but you need to make sure that you understand the concept of it before you go and implement it with your own site. With pay per click, your advertisement will show at the top of Google and it will also have the word advertisement next to it. This is great if you are trying to sell a product and it is also great if you are trying to do everything you can to get the best result out of your site in terms of your brand awareness, but if you are just trying to drive traffic to your blog or anything else of the sort then this is not the way to go. The campaign that you have all depends on your advertising strategy. The major advantage that SEO can offer you is higher quality leads and it can also help you to know if you are actually getting a targeted customer base as well. A lot of users have trained themselves to actually ignore paid results when they are browsing the web and this is because they are not within the target audience that the advertisement is trying to target. For this reason, you need to do everything you can to target the right audience with your advertisements and with flawless efficiency. The truth is that there are mountains of data that suggests that you should use natural searches to try and gain visitors and that natural searches mean that your customer is also much more likely to trust in your company as well. If you do rank high for a specific keyword then it is a clear sign that you are credible and it also shows that you are an expert in the industry as well. Of course, it is important to know that SEO is not free. No matter how you look at it, it doesn’t matter whether it is your own time or whether you hire a vendor outside of your business to take care of your SEO for you, because it always comes with a cost. 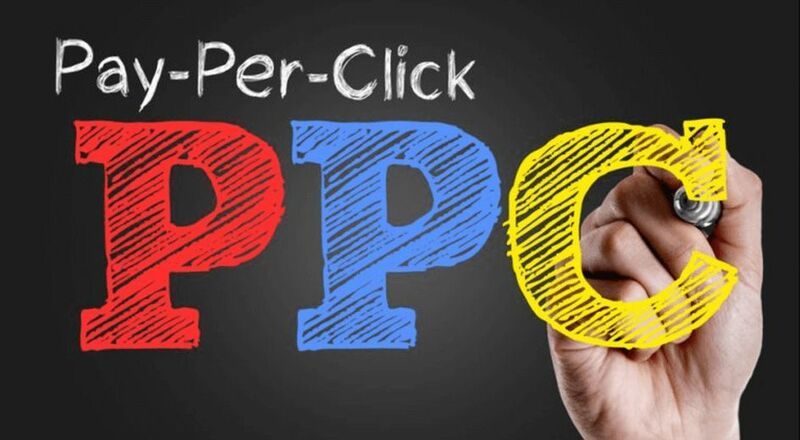 So Should You Use PPC? Don’t get rid of the thought of PPC just yet. PPC comes with a ton of extra benefits. For example, if you set up your campaign well enough then you will certainly see a huge return on your investment and you will also find that it is a great way for you to get to the number one slot. Remember that it isn’t the search engine’s number one priority to give the person who pays the most the top slot, but it can be a good way for you to get a short-term gain on your investment that could potentially turn into a long term return. 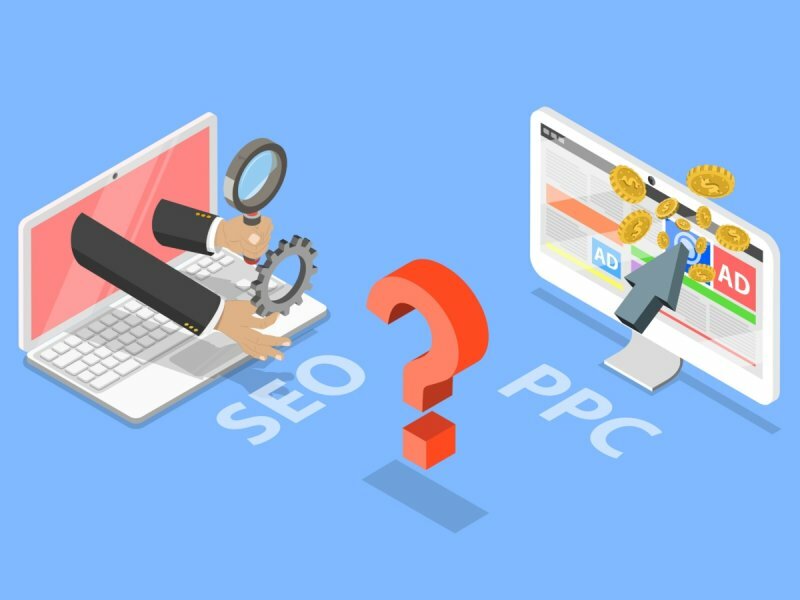 So as you can see, there are some differences between PPC and SEO and it really does help to know them so you can take advantage of what they both have to offer. If you want to find out more about PPC or even SEO then all you have to do is get in touch with us today to find out if we can help you. We can’t wait to show you why we are the best at what we d. You can get in touch with us by phone or even by email and this is the best way for you to find out everything you need to know about our team. We are here to help you and we are always happy to help you. You can get in touch with us at any time and we can even discuss your own site with you as well.